Clarity on Cloud Options - Tips on choosing the best cloud strategy for your business you plan to do business with. The key differences between cloud models are varying external elements, and how those elements will be managed by the cloud service provider. It is important to know who you are doing business with as this could impact your business from both productivity and security standpoints. Companies should also consider the level of customer support desired from the cloud provider. The many benefits of moving to the cloud can only be realized if the operation and access is seamless. Companies need appropriate monitoring, governance and security tools to expedite the process of accessing key applications securely, anytime and anywhere. The good news is that specialization in IT delivery often makes cloud providers better suited to delivering and securing applications, allowing companies to enjoy comprehensive data protection in addition to faster and less-expensive IT provisioning. Moving data to the public cloud means avoiding the purchase and management of certain hardware and software, but it also means less control over your data. Public (far) clouds are typically hosted in data centers thousands of miles from your office. Believe it or not, that makes a big difference in a lot of ways. The Internet doesn't actually move at the speed of light, so data coming from 3,000 miles away is slower than data coming from a center in your city or state. And relying on enterprise cloud service providers, such as Amazon and Google, and the policies and practices they have in place can make this transition sticky. These policies should be thoroughly examined, include customer service practices (is there someone to call if you’re having a problem? ), and how you will get your data back (if you decide to switch providers), for example. Working in the public cloud can also mean changing the applications you use daily – such as switching from Microsoft Office to Google Docs. A change like this can impact your productivity – the new application may lack an important feature essential to performing your job and can take time to learn how to effectively use the new application. A very small company (under five users, for example) may find it beneficial to maintain zero on-premise infrastructure and therefore, host all of its operations in the public cloud. To these organizations, application features are not top priority and the emphasis may be the affordability and rapid data accessibility rather than a number to call and support staff they know personally. On the other hand, building an internal, private cloud (or Here Cloud) doesn’t mean you have to completely do away with your current environment. Companies already owning local infrastructure may prefer a private cloud located within the four walls of their organization. You can often extend and protect your current infrastructure investments by transforming legacy hardware into a finely tuned, virtualized, private cloud environment. With a private cloud, Internet connectivity is still key, as well as having a thorough disaster recovery/ business continuity plan in place in the event of a flood or fire. A private cloud will require more IT resources up-front, but when built out properly, a private cloud environment can provide users with the same rapid access to data as the public model, but with more intimacy (such as a phone number to call when users have an issue) than a public cloud. For the company that builds a well-designed private cloud and has the dedicated IT resources to securely maintain its data, a private cloud can lead to a solid return on investment. A significant number of businesses will fall on the spectrum somewhere in between the two options mentioned above and seek to deploy both private and public clouds for specific portions of their operations, thus preferring a hybrid, or Near Cloud, deployment. In the simplest terms, the hybrid model is primarily an offsite private cloud that allows an organization to tap into a public cloud space when and where it makes sense. In this case, the public cloud portion may serve as an extension of their primary site or in lieu of a traditional secondary disaster recovery site. This blend of cloud services allows companies to adjust the amount of computing power used based on their individual fluctuation in actual usage. So for companies that have a lot of variation in their computing needs, a hybrid model makes them much more nimble by using a public cloud for times where more computing capacity is needed. Generally, adding more storage space to a company's cloud model is a much easier proposition than growing its private cloud to meet mounting needs. In this way, a hybrid model is more cost effective in providing world-class computing power that is available anytime, anywhere without as big a budget commitment as a private cloud. All models of cloud computing provide security measures to keep data and applications secure. However, in contrast to a purely public cloud model, the hybrid cloud can provide a higher level of security for sensitive data and instances where companies are affected by industry or financial regulations. IT Solutions NearCloud is a hybrid cloud model that combines the best of both worlds. NearCloud is set up like a private cloud but hosted offsite -- close enough to be fast, but far and secure enough to make for a great disaster recover site. With NearCloud your data is stored at the state-of-the-art ITS datacenter and monitored 24x7. Just like the public cloud, NearCloud offers zero upfront hardware costs, high-speed internet access with unlimited storage space for your data. 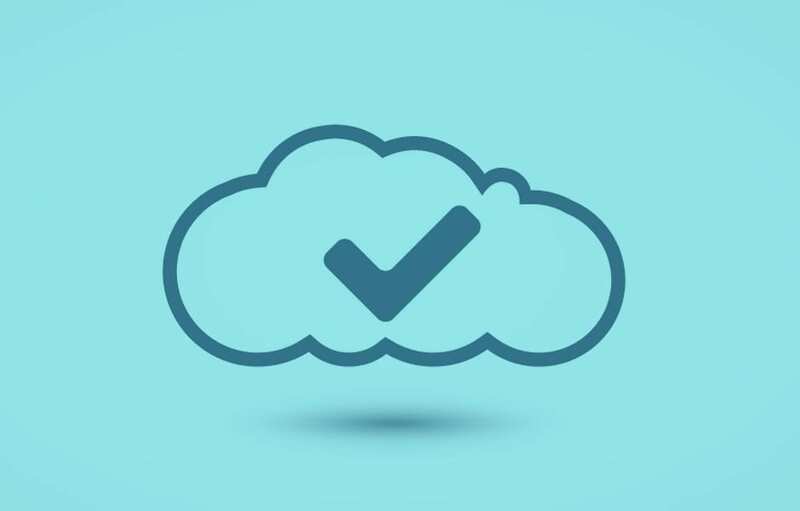 And as a local managed service provider, NearCloud provides the full range of services - help desk, onsite support, and technology consulting. Unlike the largest cloud providers like Google, Amazon, and Microsoft, we are your local provider, and can work onsite for projects and troubleshooting issues. With NearCloud, each company is assigned their own VCIO to meet with you on a regular basis to discuss your business and specific IT needs and strategies. And you quickly get to know our help desk team personally. Companies of all sizes are moving toward more adaptive capabilities like cloud computing to deliver new services with agility and speed, while driving down costs. And for many businesses of all industries and sizes, the Near Cloud model can provide cost–effective computing that balances security, reliability and flexibility. This is not to say that NearCloud or the hybrid model is right for just anyone. It is still important to keep your business strategy top of mind when considering the cloud. If you are interested in learning more about the different cloud models or would like a full network assessment to help you determine the best cloud solution for your business, contact IT Solutions today. For more information visit our NearCloud service site at: www.nearcloud.com or call us at 1.866.PickITS. If you are considering a cloud strategy for your network, you are probably already weighing the different cloud models out there today. Understanding that the cloud jargon is less complicated than it sounds should help clear up what the cloud is and isn’t, and make weighing the benefits of the different options for your business easier. Simply put, cloud computing is a style of computing in which massively scalable IT-related capabilities are provided “as a service” using Internet technologies to multiple external customers. And the different cloud models – Public (Far) Cloud, Private (Here) Cloud and Hybrid (Near) Cloud – are simply the major different service models available. The most important thing to keep in mind when thinking about the cloud is to let your business strategy guide your approach. While making the decision to move to the cloud you should take a hard look at the specific needs of your organization, including individual usage requirements, budgetary considerations, the sensitive nature of data that will be stored in the cloud environment, as well as any applicable industry or financial regulations. In addition to your unique business needs, you should evaluate the service provider you plan to do business with. The key differences between cloud models are varying external elements, and how those elements will be managed by the cloud service provider. It is important to know who you are doing business with as this could impact your business from both productivity and security standpoints.